Do you need to capture information from attendees at your event? Stay organized by creating rock-solid order forms that your prospects and clients can fill out at your events. Limited only by your imagination, our representatives will work with you to make sure you demands are met. 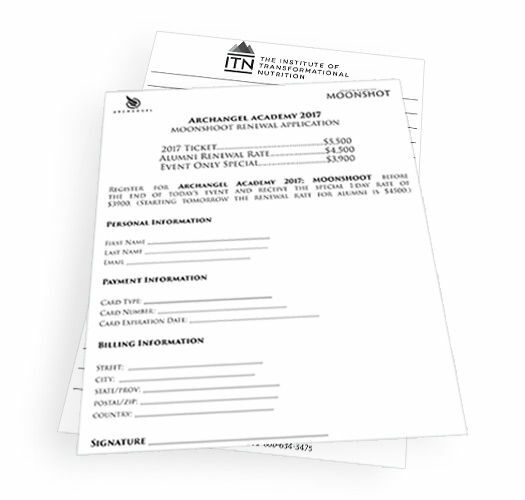 Forms are still an important asset for event hosts that need to retain information from their customers, whether it’s medical information, payment information, internal business information, or especially purchase details. Forms still collect more data from your event attendees than any other resource including email or direct mail. That’s why it’s important to make a branded, well-read form that is customized to your service, business, product or trade. 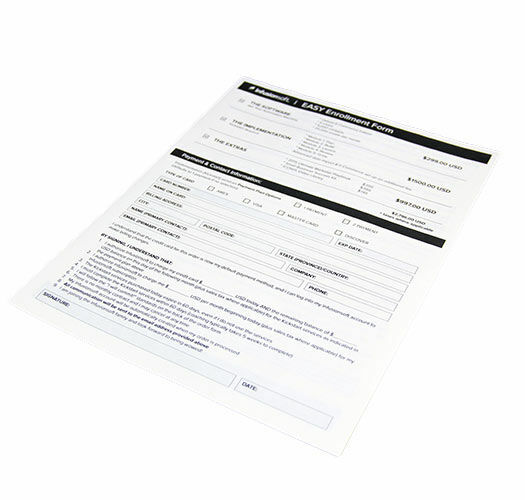 Create branded forms using our Form and Multi-Form Printing Services and print them in small or large batches. 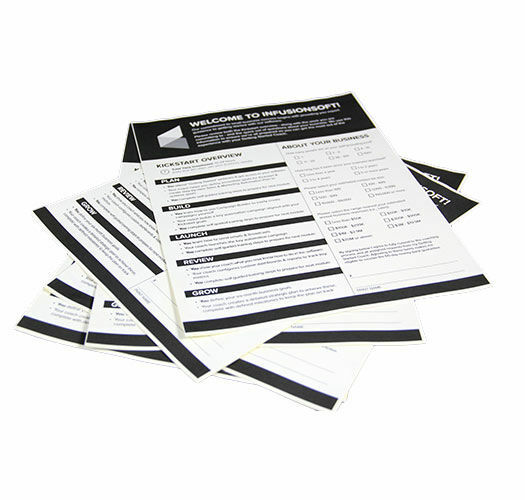 Corporate Disk Company offers custom designed forms and carbon-less forms for your business or brand, giving you full control over layouts, design, and content. Contact us today and one of our representatives will get all the details from you, provide a quote, and work with you to provide cost-effective form printing solutions. Depending on your needs black & white should be all you need, but color is an option to add an extra area of emphasis to specific areas. 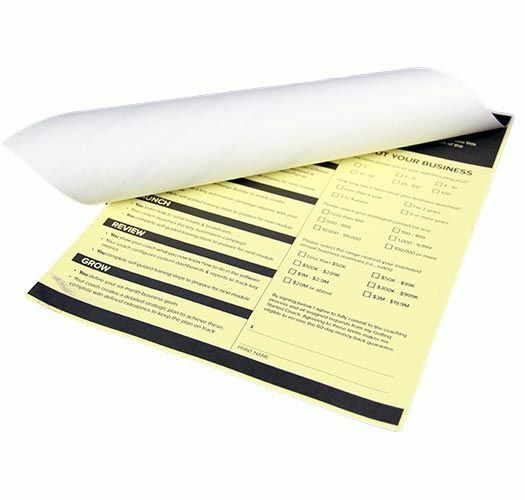 Forms can easily be printed single sided or double sided. 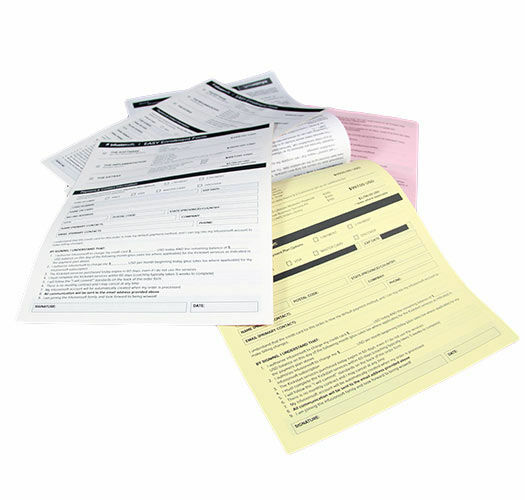 We can print additional details or your terms and conditions on the back side of the form pages.